There are tons of garbage that end up in our landfills, but not all garbage meets the same fate. A lot of trash find their way into our jungles, beaches, and parks. 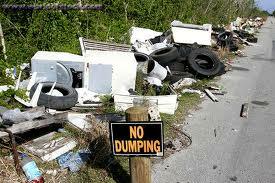 Why can't people take it to the transfer station or the landfill? What are our government and environmental agencies doing about it? Click title to find out!! !